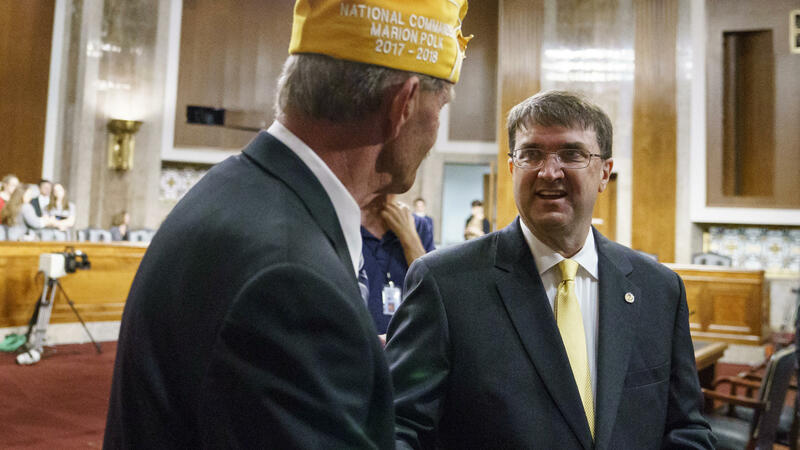 Veterans Affairs secretary nominee Robert Wilkie (right) speaks with Marion Polk, national commander of AMVETS, before testifying at a Senate Veterans Affairs Committee nominations hearing Wednesday. Back in March, President Trump fired his first VA secretary, David Shulkin. His first nominee to fill the post, White House physician Ronny Jackson, withdrew after charges of professional misconduct. 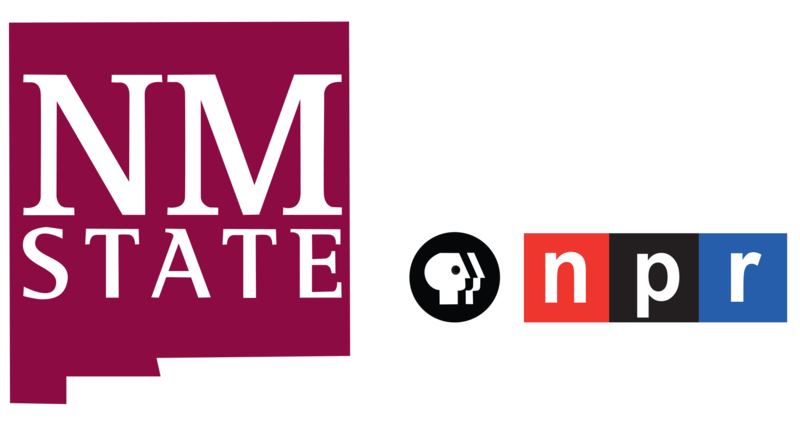 His next pick Robert Wilkie was seen as uncontroversial, with decades of Washington experience. On Wednesday, Wilkie had a relatively smooth confirmation hearing. Wilkie is a veteran of the U.S. Navy and currently an officer in the U.S. Air Force Reserves, though he's more identified as a veteran Washington official. He has worked as a Republican Senate staffer and in the Pentagon under President George W. Bush. Wilkie was already confirmed by the Senate late last year to his current Pentagon post as under secretary of defense for personnel and readiness. Wilkie served briefly as acting VA secretary and got good reviews from Congress for helping shepherd through several major reforms. Now, he'll have the challenge of trying to implement those reforms, which are already putting the White House and Congress at odds over funding and congressional oversight. The Department of Veterans Affairs provides health care to about nine million veterans — it's the largest health care network in the country and the second largest federal department after the Pentagon.